For the last 14 years, our team has served Clarksville and all the surrounding areas with amazing Land Rover vehicles. We wanted all of Maryland to know the quality that is inherent in every Land Rover vehicle. Now we have more experience and knowledge than ever before, and we are ready to help you get into your next vehicle. 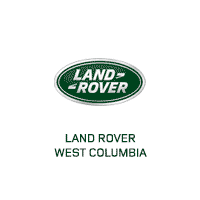 If you are in Clarksville, Columbia, Ellicott City, Silver Spring, Baltimore, or any of the surrounding areas, then you should come to Land Rover West Columbia and see what we have to offer. Our staff will take the time to get to know you so that we can provide the ideal car buying experience, every time. Let’s be honest here, you have come to Land Rover West Columbia for two reasons.The first being our Jim Coleman deals, and the second being the amazing Land Rover vehicles that we have in our showroom and out on our lot. We can’t blame you. These are some of the most amazing SUVs to ever conquer this earth. Not only do they have a go anywhere do anything attitude, but they have design, elegance, style, grace, and performance too. This is the real luxury SUV. Everything else is an imitation. We have a wide variety of Land Rover vehicles in our showroom and out on our lot. Not only do we have the LR4, Range Rover, Range Rover Evoque, and the Range Rover Sport, but we also have them in a variety of colors with a variety of options. You can get the perfect Land Rover to suit your style and needs, and our friendly team of sales professionals can help you find it. We will actually take the time to listen to you and treat you like an honored guest here at Land Rover West Columbia. Are you looking for Land Rover service or maintenance? Then you have come to the right place. We can take care of any service or maintenance that you may need for your Land Rover. That includes everything from oil changes to major engine, transmission, or electrical system work. Let our team of service technicians get to work for you. If you have any questions or concerns feel free to give us a call and don’t forget, we can provide you with OEM Land Rover parts too.